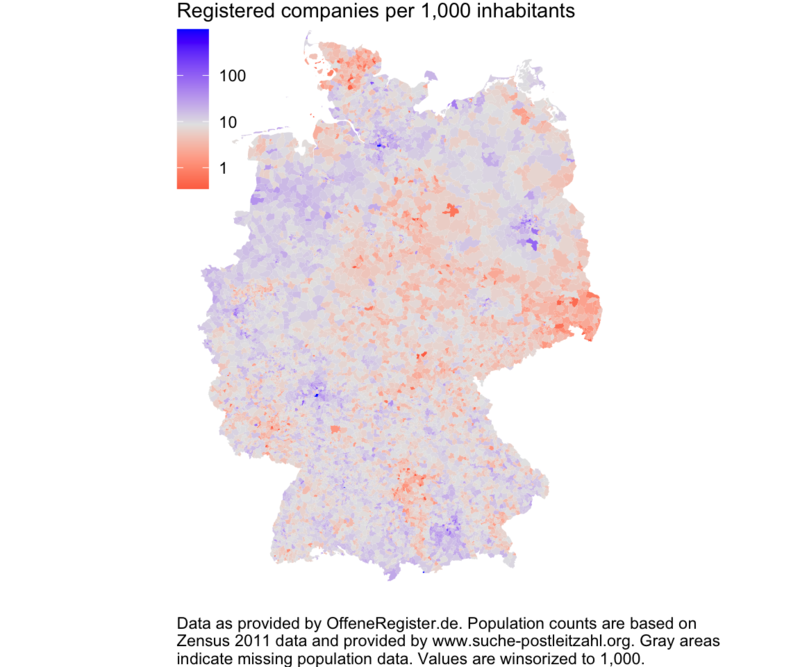 sql <- "select id, current_status, retrieved_at, registered_address from company"
# Population data is based on the 100m raster data from Zensus 2011. A larger version of the plot above (with a base map for better orientation) can be downloaded here. Summing up: The data provided by OffeneRegister.de, while being somewhat messy at the individual level, can be used to generate informative insights at the aggregate level. Let’s hope that the initiative helps to trigger a public debate about the right way to host public data.